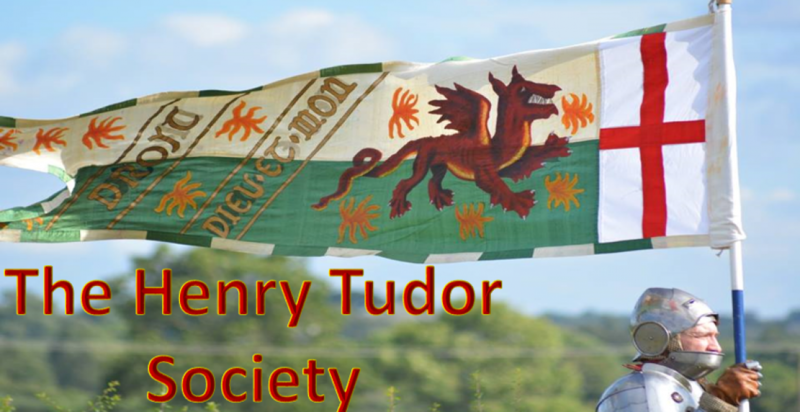 The Henry Tudor Society exists to discuss and deliberate over events which happened over five hundred years ago, a process which unquestionably involves physically visiting the sites and locations in which these events occurred. Conservation of historic sites is therefore imperative to the very ethos of the Society, without which our understanding of the period would be much poorer. The Henry Tudor Society is therefore very despondent to discover the financial burden currently being experienced by St Peter’s Church in Carmarthen, a burden which may very well cause this historic building to permanently close its doors to the public. It has been reported that the church needs to find £50,000 to stay open next year and church leaders have said it is becoming a struggle to remain open. Falling church attendance combined with increasing costs maintaining an historic, Grade-II listed building are the chief causes. Vandalism and Anti-Social Behaviour have also been a financial burden on the church. St Peter’s Church is particular important to the Henry Tudor Society due to its links with Sir Rhys ap Thomas, Henry Tudor’s ally and commander at the Battle of Bosworth in 1485. The following is an extract from Tudor Wales by Nathen Amin, which demonstrates the substantial heritage of St Peter’s Church. 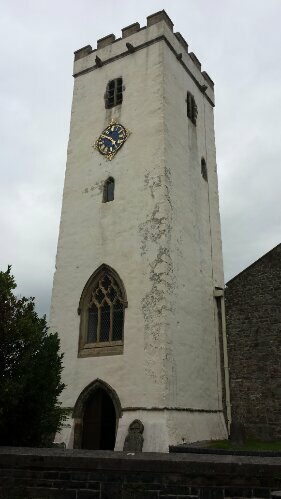 ‘Carmarthen is one of the oldest towns in Britain, a continuation of the Roman Moridunum, and St Peter’s church remains the earliest extant building in the region that is still used for its original purpose. The exact date of foundation is unknown, but it appears to have existed from at least the early twelfth century, with today’s structure still containing elements from the thirteenth century. The prominent tower is a fifteenth century addition, while the south aisle was constructed during the Tudor period. It is this aisle which holds an acute connection to the Tudor dynasty as the resting place of Sir Rhys ap Thomas; his alabaster tomb was placed here in 1538 after the Dissolution of the Monasteries disrupted his original resting place at the nearby Greyfriars monastery. Greatly rewarded by his distant kinsman King Henry VII in gratitude for his unyielding allegiance during the reign of the first Tudor monarch, Sir Rhys governed South Wales with a kingly assurance, which he maintained until his death in 1525. He was interred in Greyfriars, close to the king’s own father Edmund Tudor, but both tombs were removed during the Dissolution. Sir Rhys’s tomb occupies a position which is significantly less exposed than Edmund’s; it is placed in a quiet corner with two sides lamentably positioned next to a wall, which denies the visitor the opportunity to circumvent the mighty monument. The effigy is heavily weathered despite its attempted restoration by a later descendant, although the three ravens that were prominent in his coat of arms are still identifiable. The tomb bears the inscription: ‘Here lies the remains of Sir Rhys ap Thomas K. G. who fought at Bosworth Field’. Interest in Sir Rhys has certainly increased recently because of his possible role in the death of King Richard III at Bosworth Field in 1485, and there are hopes that this could result in his tomb receiving a higher degree of decorum than it has been accorded over the last century. St Peter’s also maintains two other Tudor-era connections, which enhances the church’s status as a credible sixteenth-century location. Walter Devereux, Earl of Essex, is believed to have been buried in an unmarked grave under the chancel in 1576. Devereux had been a loyal courtier of Queen Elizabeth I, and controversially and often violently served her interests in Ireland where he had been appointed Earl Marshal. His son was Robert Devereux, who later gained notoriety as a keen favourite of the queen before his execution for treason in 1601. In 1555, the church also played a role in the trial of Robert Ferrar, Bishop of St David’s, a devout Protestant who was condemned as a heretic at St Peter’s and sentenced to death by burning. This gruesome act was carried out in Carmarthen marketplace, where a plaque today commemorates the event, a consequence of the persecution of Protestants under the reign of Queen Mary Tudor. A nineteenth-century marble plaque can also be viewed in the consistory court; it states that the bishop was burnt for ‘adhering to the protestant religion’, a reminder that the turmoil of England’s religious strife was equally felt in the heart of Wales’. The church’s elders are working hard in their attempts to raise funds to keep St Peter’s open, a mammoth task that they are nonetheless tackling with positivity and enthusiasm. There are plans in motion for a new group to be launched entitled ‘The Friends of St Peter’s’ where people can pay a £10 annual subscription fee to become a life member. It’s a novel way to donate funds whilst retaining an active link with the church. Furthermore there are regular fundraising events in the pipeline which you can keep up to contact with via their Facebook page ‘St Peter’s Carmarthen’. The Henry Tudor Society feels that this church should not be allowed to close its historic doors and urges all members of the public to do whatever they can to help St Peter’s in Carmarthen. Whether its financial donations or social media sharing, small churches like St Peter’s not only provide vital services to the local community but are a source of substantial historical interest.